memoQ Translation Technologies (formerly Kilgray Translation Technologies) is a technology provider best known for a popular translation environment memoQ. 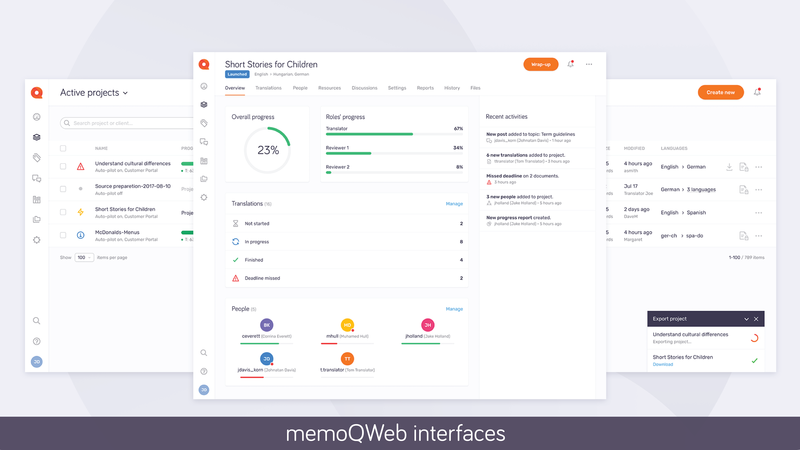 LSPs often use memoQ paired with Plunet or XTRF, where memoQ provides language management and the other system provides project management. memoQ’s main advantage is the tremendous popularity with the professional translators in Europe. The development team catered to the translator needs more than other systems. Multiple file filters, interface and shortcut customization, an integration with voice technology, strong alignment, and concordance search denote the desktop editor. 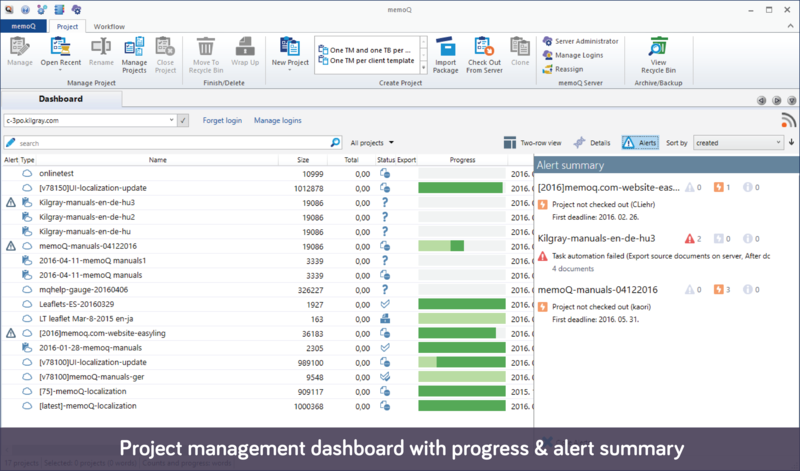 Moreover, memoQ boasts strong operability with SDL, WordFast, and other CAT-tools. Therefore its common for some translators to receive tasks in a different TMS, then export files and translate inside memoQ workbench. In integrations, memoQ has a different strategy from other top-tier TMS, prioritizing custom over pre-built integrations. While memoQ doesn’t have as many pre-built Connectors pushed into app stores, the company instead develops own API/SDKs and provides custom integrations as a service. Launched in 2004 in Hungary by the three language technologists Balázs Kis, István Lengyel and Gábor Ugray. The name of the company, Kilgray, was derived from the last names of its founders. The first memoQ has been released in 2006 and it quickly began to compete with SDL Trados in a proverbial David vs Goliath scenario. Winning a lot of support from the professional community, by 2010 it was the second most popular CAT-tool with translators in Europe. In the later years, Kilgray retargeted their offering towards enterprise localization departments and has built a sales team. The company’s latest reported revenue was in excess of 4.3 million euros (2016), with more than 90 people on staff. In 2018, memoQ is opening an office in Toronto, Canada, and will support NASA-based customers out of there. 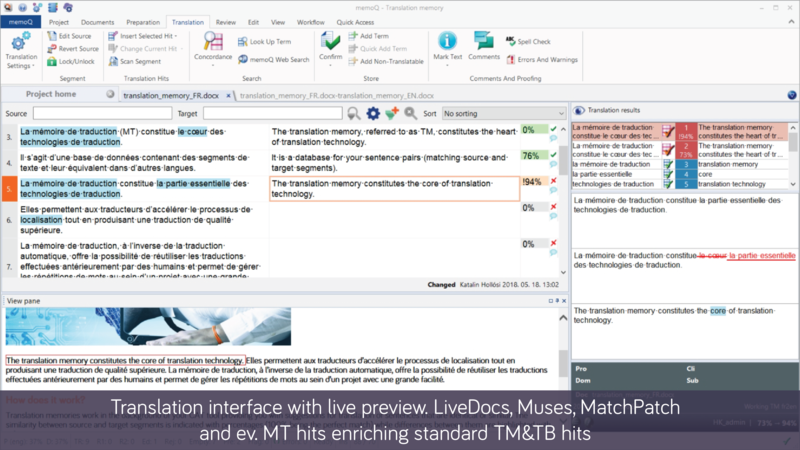 Standalone Translator Pro licenses cost EUR 620, with 1 year SMA included in the purchase price. For subsequent years 20% SMA is applicable. Hosted SaaS memoQ Cloud server costs 160 euros per PM; with 5 free floating translator licenses per project manager license. For example, 5 PMs and 25 concurrent translators, web API and advanced terminology enabled would cost 14,400 euros a year. 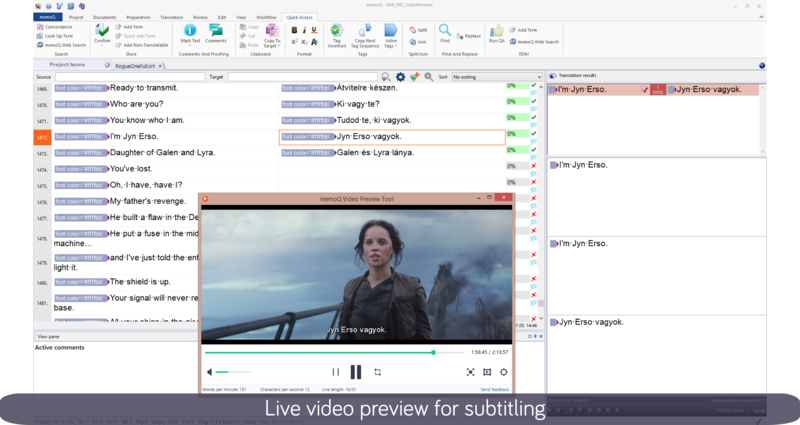 Floating desktop translator licenses are available for 40 euros per translator per month. Pricing for perpetual licenses and on-premise software is not publicly available. Costs there depend on the expected license coverage, added functionalities and level of implementation assistance. Entry-level setup begins at 10,000 euros; while more advanced, integration-ready setups can exceed 20,000 – 30,000 euros (5 PM 10 TP, API-equipped setups); with 20% annual fee for upgrades and support.